In November 2016 we introduced the “Box of Tricks” and we are very pleased to announce that this is now up and running at the Carers' Centre based in Coventry's Central Library. There has already been a lot of interest and very positive feedback from carers who simply just didn't know the range of things out there. Visitors can see and try out lots of gadgets, pieces of equipment, apps and technology that can help people live more independently and give carers peace of mind. Plus, you'll be able to find out what is available and where the items can be purchased. The items can also be taken to groups and events to spread the word wider and help carers understand the potential benefits. If you know of any community groups that will benefit from this experience please contact Carers Trust Heart of England on 024 7610 1040. The Council website has some further information about equipment and assistive technology and the Opal Demonstration Centre where members of the public can also view and get to try out a range of equipment including larger pieces. My name is Jaspreet Dhillon. I am a Hospital Discharge Carer Support Worker. I work for Carers Trust Heart of England in the Carers Centre but I also spend time at University Hospital Coventry & Warwickshire. Our services aim to improve the lives of family carers in Coventry by providing information, advice and practical support. Often a person can become a carer after the admission of a relative, friend or neighbour to hospital after a sudden illness or accident. Support groups and much more…. I am available: every Wednesday in the office situated to the right of the main reception area as you enter through the revolving door. Is your child in Year 1 or 2? Do they have Speech, Language & Communication Needs? This FREE session for parents will focus on speech, language and communication skills. It will cover the difficulties children have with speech, language and communication needs and how these impact on their learning and language development. 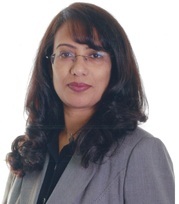 It will also provide you with strategies and resources which will help you to support your child. Where: SEND Information, Advice and Support Service, Limbrick Wood Centre, Thomas Naul Croft, Tile Hill, Coventry, CV4 9QX. Find out more about the support SENDIASS can provide. Contact a Family is here to make life a little bit easier for families with disabled and special needs children. Our parent advisers can offer information and support on a whole range of issues. We have a team of six in the Midlands including a parent adviser for education issues, and a parent adviser for our Hospitals project. We run free workshops for parents and support groups including a workshop on dealing with challenging behaviour; sleep issues; stress and coping, supporting siblings, and transition to adulthood. Parents can also sign up to receive our quarterly e bulletin keeping them in touch with issues that might affect them. Our national Freephone helpline 0808 808 3555 can do a full benefits check to make sure parents are claiming all they are entitled to and we offer a telephone appointment system for the most complex cases. Our helpline team can also offer advice on education issues; give advice on processes for appealing decisions you are unhappy with, or give you information about rare conditions and national support groups. The resource library on our website has a range of downloadable factsheets and parent guides for example on Claiming DLA for a Child, or PIP and other benefits at 16; on short breaks; or on Education Health Care Plans. Call our Midlands Officer on 0121 415 4624, or our Freephone helpline on 0808 808 3555. There’s no need to worry if those everyday chores have become a bit more difficult, as we’re here to offer help with the little things that make a big difference. Helping Hand At Home from Age UK Coventry is a flexible service, working around your needs and providing as much or as little help as you would like– whether it’s a couple of hours to help cleaning your house, or a little longer to accompany you to a medical appointment. As we move into spring our friendly gardeners are here to help you with gardening tasks that you can no longer do. It’s ideal for anyone who just needs a little extra help to get out and about or an extra hand around the house to make life easier. 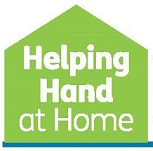 Visit the Helping Hand at Home website to find out more. An exciting new project connecting Alzheimer’s Society with ten Coventry GP practices is starting March 2017. Monthly Dementia ‘Pop-up’ Clinics will give carers and/or people living with dementia the opportunity to book an appointment to speak face to face with a Dementia Navigator in a familiar and local venue. These specialist workers can provide information and support around a number of dementia related issues including diagnosis, all aspects of living with dementia, local services, legal rights and welfare benefits. The participating practices are: Coventry GP Group of Practices, Edgwick Medical Centre, Forum Health Centre, Henley Green Medical Centre, Holbrooks Health Team, Kenyon Medical Centres, Parkleys Medical Practices, Stoney Stanton Medical Centre, The Gables Medicentre and Willenhall Oak – simply ask the receptionist to book an appointment. The Dementia Navigator service itself is open to everyone in Coventry who is affected by dementia. Please feel free to call the Alzheimer’s Society on 024 7665 2602 for more information. Don't forget to sign up to this Carers' Bulletin if you haven't already done so. It's simple! Just add your email address in the top right hand corner and click GO! You can also sign up or view previous bulletins from our website.